We also offer some other specialty commode mould. 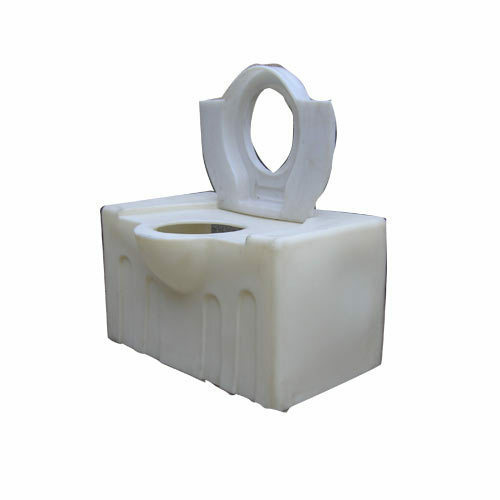 Toilet Commode Mould are offered to our clients as per the requirements set by them. In addition, we offer different kinds of mould development that is possible in roto moulding. The commode mould are made up of steel, and are used for making different sizes plastic boxes, containers etc. We offer an encompassing range of Rotational Molding Machine such as Bi-Axial Machines, Open Fire Machine, Box-Type Machine. Rotational Moulds such as Vertical Tank Mould, Horizontal Tank Mould, Septic Tank Mould, Ice Box Mould etc and Plastic Processing Equipment like Pulverizer, Extruder, Scrap Grinder and Cutter. Each machine, mould and equipment is developed after extensive research and study of industry norms as well as client requirements and the technical specifications detailed by them. Owing to our ability we have gained strong base of clients in Saudi Arabia, UAE, Kenya, Ethiopia, Uganda, Sudan, Tanzania, Nigeria, Egypt, South Africa, Thailand, Ghana, Madagascar, Australia, Vietnam, Qatar, Bahrain, Libya,Capeverde and Bangladesh. We have acquired the prestigious membership of Plastic Export Promotion Council(Plexconcil) and Federation of Indian Exports Organizations (FIEO).